Minamikaruizawa | Karuizawa is a resort near Tokyo or Karuizawa. Enjoy sports and leisure activities to your heart’s content, with a fantastic view of Mt. Asama in the Minamikaruizawa area. 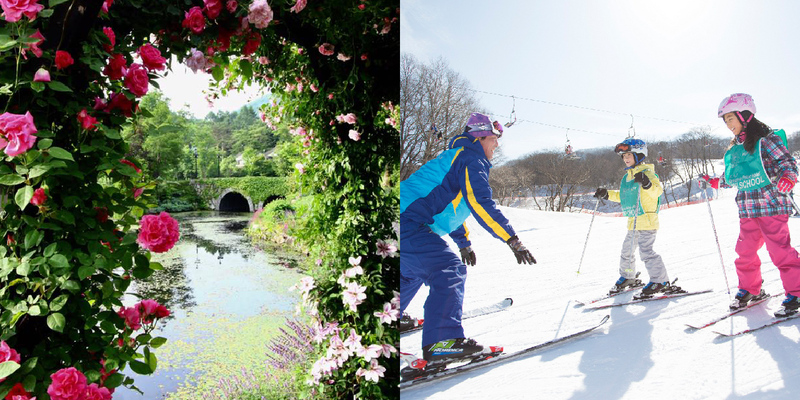 In addition to one of the largest shopping malls in Japan, there are golf courses and horse riding facilities in the deep green forestry during summer and facilities to enjoy skiing and snowboarding in winter. There is a large shopping mall near Karuizawa Station where you can enjoy all kinds of shopping and restaurants serving an array of different cuisines. Golf courses and ski sites are also located here, as well as the chance to enjoy more of Karuizawa’s nature by strolling this area’s many gardens.